Marie Annonciade Caroline Murat. 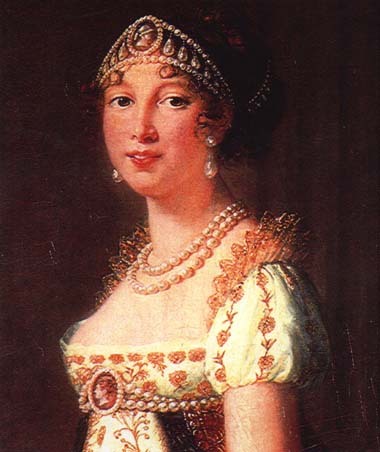 Napoleon's youngest sister, Caroline, Queen of Naples, lived 1782-1839. In 1800 she married Joachim Murat (1767-1815), a brilliant cavalry officer who had served in many campaigns with Napoleon. In 1808, Murat succeeded Joseph Bonaparte as King of Naples. The couple had two sons and two daughters (Letizia, born 25 April 1802, died 12 March 1859 and Louise, born 22 march 1805, died 1 December 1889). Letizia is pictured here. Letizia was named for the mother of Caroline and Napoleon. "(Napoleon) Bonaparte commissioned me to paint a portrait of his sister, Mme Murat. I included Mme Murat's daughter in the painting, a very pretty girl". This portrait was displayed in the 2015 Paris Exhibition. Vigee Le Brun painted the Prince in Paris and in London. 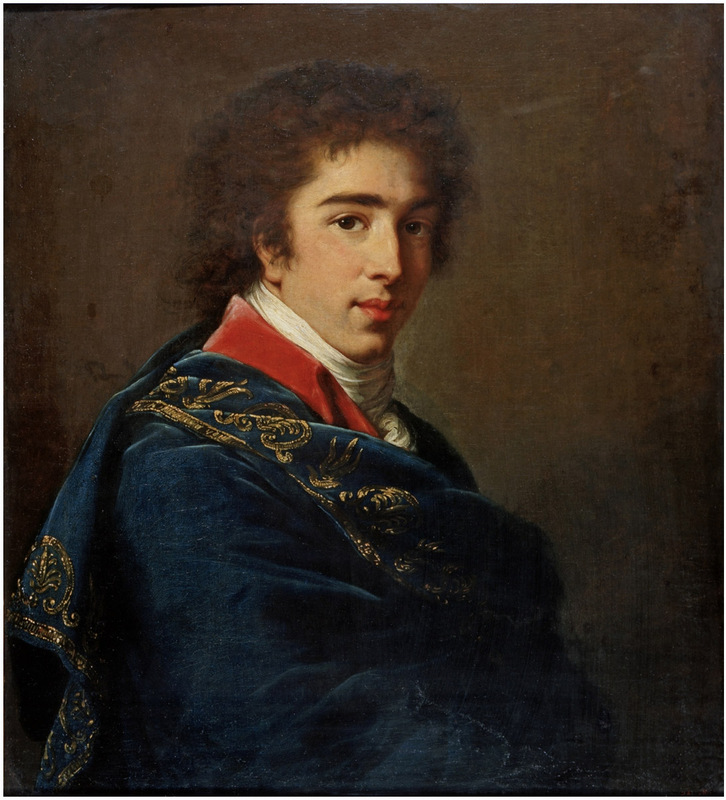 "This portrait at the Pushkin was painted most likely when both the painter and the prince resided in London. 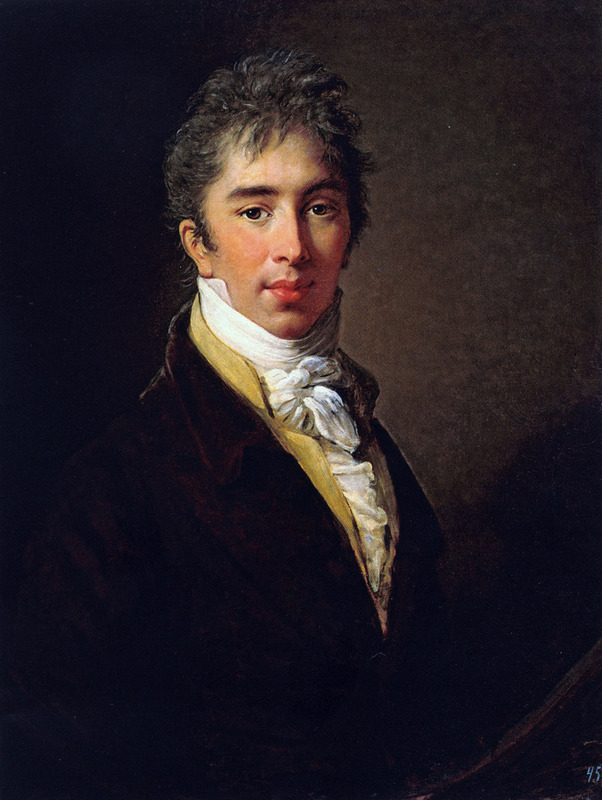 In 1808 Bariatinski was posted to Munich and shortly thereafter he was recalled to Russia and settled at his estate Ivanovskoe in the Kursk region, where he pursued the life of a country gentleman. His rural palace boasted an extensive art collection, including pictures by European masters as well as a family portrait gallery." View another Moscow portrait on Art Page 99.This portrait was displayed in the 2015 Paris Exhibition. 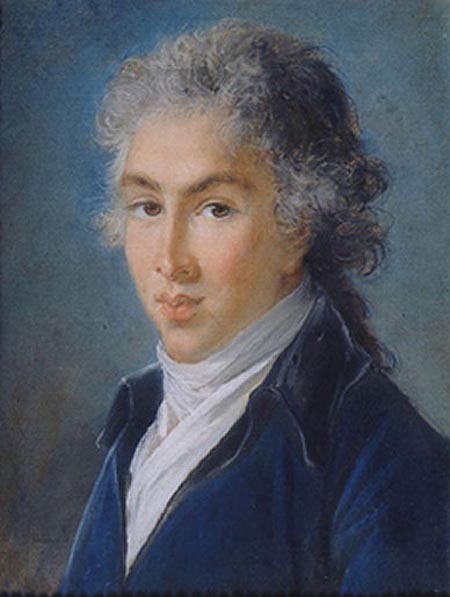 Prince Ivan Ivanovich Bariatinsky, was the son of Prince Ivan Sergeevich Bariatinsky "le beau Russe" Ambassador to the Court of Louis XVI and his wife Duchess Catherine of Holstein-Sonderberg-Beck. I.I. Bariatinsky was Russian minister in Munich. He married 1stly Frances Dutton, dau. of the 1st Baron Sherborne, and 2ndly Countess Maria Fedorovna von Keller.